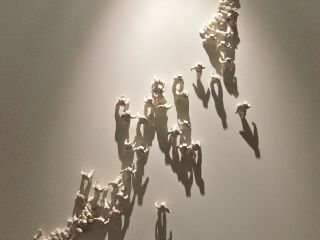 Daisy Boman created her 'bo-men', unique figures that climb, fall, crawl, run and interact with each other. Alone, but mostly in numbers, they tell stories about life, human destiny and universal feelings. Their language is unique. Faceless, they ask us to look at them for what they are, not for what they look like. Their movements, situations and attitudes speak personally to the viewer. 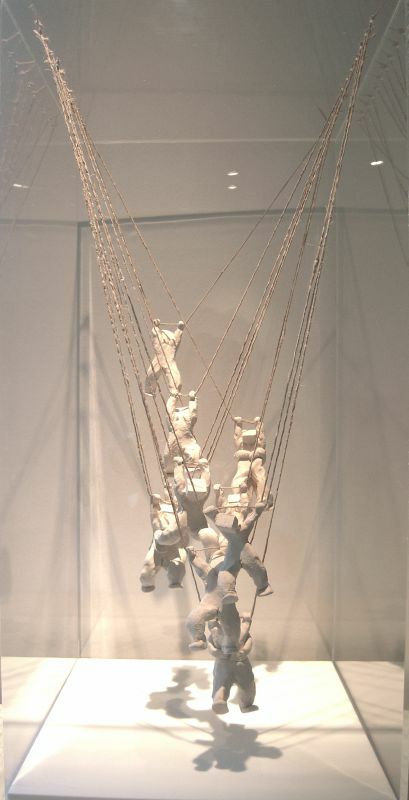 Boman's sculptures experience life, with a playful and challenging attitude but also in an even more dramatic fashion than we do. They race, try hard for something better, make choices, and carry the burdens of life. Their uniforms are white because colours and races should not matter, their heads are square as we are all cut from the same mould, conditioned by the society we live in. I'm interested in this Welcome Back by Daisy Boman. Please advise availability and price. Thank you. Having grown up in the Flemish part of Belgium near Antwerp, Daisy Boman’s childhood interest in art eventually led her to enter the Academy of Fine Art, where she studied interior design and photography. 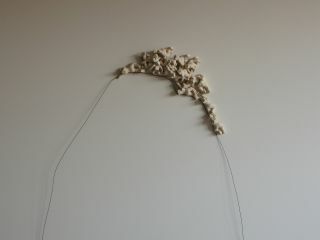 She then proceeded to experiment with ceramics, leading to innovative artistic possibilities. 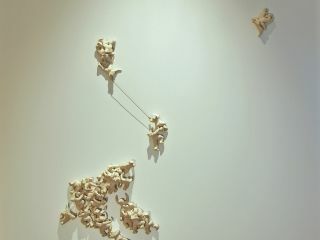 Boman created her 'bo-men', as unique figures that climb, interact with each other, fall, crawl and run. 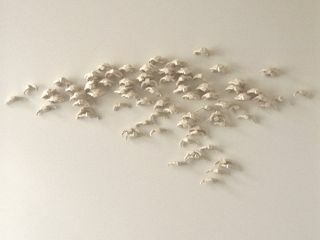 Alone, but mostly in numbers, they tell stories about life, human destiny and universal feelings. 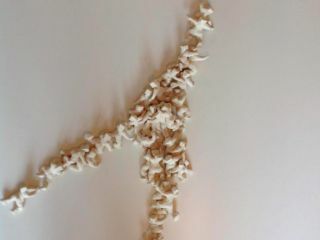 Having exhibited in Belgium, the United Kingdom and the Netherlands, Boman’s works are part of private and public collections within the Netherlands, the United Kingdom, Germany, France, Canada, Hong Kong, Australia, New Zealand and in the United States.